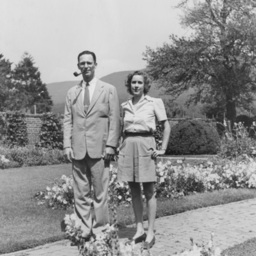 Photograph taken by William Hoyle Garber showing Mr. and Mrs. Harold Vanderbilt at their Mt. Airy Farm located just south of Mt. Jackson on the east side of Route 11 along Meembs Bottom.